So far, there has been no remedy for blade tip erosion. Problems can take quite a while to be detected. New systems are intended to speed up work on the blades. Why take the trouble of hanging off of a rope if there are easier ways to do it? Indeed, many companies offer drones and ground-supported camera systems for servicing rotor blades. 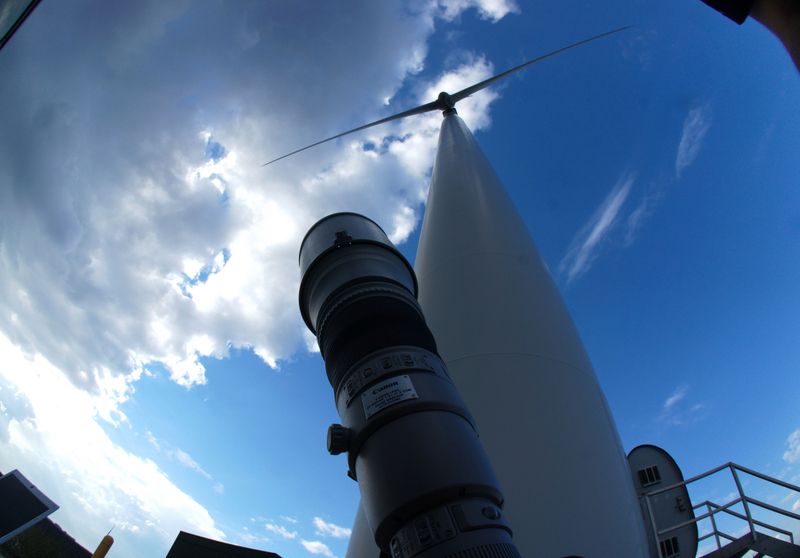 High-tech lenses supply images of rotor blades’ conditions with impressive resolutions. These photos can help experts conveniently assess a blade’s condition at their computers and decide if any action needs to be taken. This is intended to reduce the use of work platforms (see page 24) and the need for workers to climb with ropes (see also page 38), thereby saving costs. 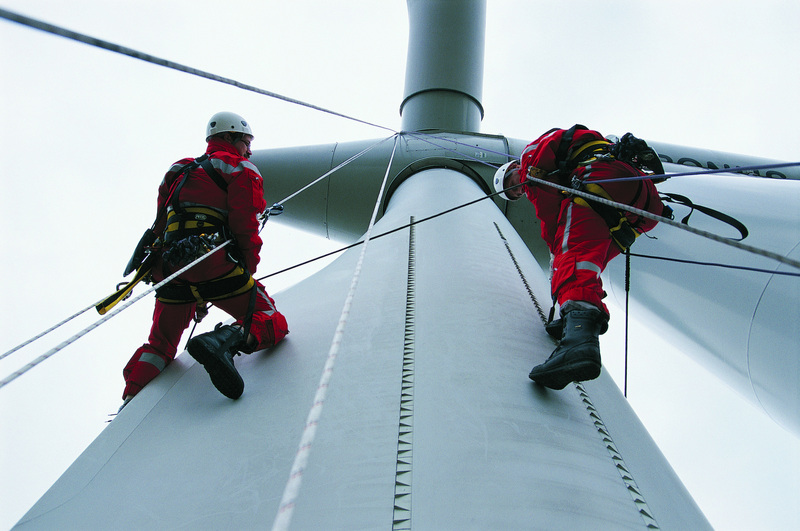 According to the manufacturers, a well rehearsed team should be able to check on several turbines per day depending on the system, reducing forced turbine downtimes and, in turn, revenue ­losses by using these visual inspections. However, potential markets must be carefully evaluated. In Germany, for instance, these technologies stand almost no chance because of very strict inspection rules. Besides, insurance companies in the country already require regular visual inspections and a blade assessment conducted by experts at least every four years. In many instances, these inspections must even be carried out every two years. Because such short intervals are sufficient for detecting damage, there is little need for costly camera ­systems and drones. The situation is different for offshore wind and other markets, because there are no requirements in terms of time for regular rotor blade inspections – and out at sea, such inspections are rather time consuming and expensive. In such cases, these systems can therefore certainly make sense for operators who need an overview of the condition of these vital energy generators. Drones are one high-tech device that can help here. However, these unmanned aerial vehicles (UAVs) do have a number of problems – at least when blade inspection comes into play. One issue is that they cannot carry much weight and are rather susceptible to wind. Another is that their batteries only work for a limited amount of time and need to be exchanged fairly often in order to prevent the expensive ­technology from falling out of the sky. Availon GmbH of Germany carefully researched these issues before ordering a customized UAV from Dutch specialists Aerialtronics. After a test phase, the service provider is now advertising its drone – primarily outside of its home country, because of German air traffic regulations. The UAV is equipped with an anti-collision system to prevent collisions with, for example, a rotor blade in strong winds. 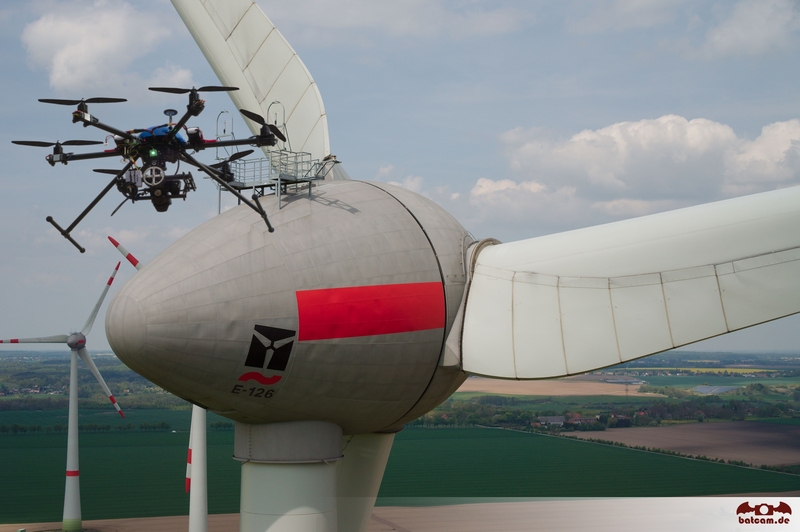 “Even at wind speeds of 12 m/s, the drone is stable in flight and the camera delivers incredibly sharp photos,” Project Manager Marcel Bruins reported ­after a test phase. DNV GL published its fourth annual PV Module Reliability Scorecard report. This year’s report finds that the reliability and durability of modules submitted to DNV GL for testing for the 2018 PV Module Reliability Scorecard generally improved in several of the test categories. However, in one of the test categories, damp heat, performance decreased. With 22% of manufacturers experiencing at least one failure in overall testing, buyers being conscious of the specific Bill of Materials (BOM) that identify specific models as Top Performers is crucial.